Whatever your application, we have your solution! Modern Office Systems, through our partnerships with the most advanced locker manufacturers, can offer you state-of-the-art locker systems for many applications. Whether your application requires steel lockers or laminate lockers, we are your one stop shop. 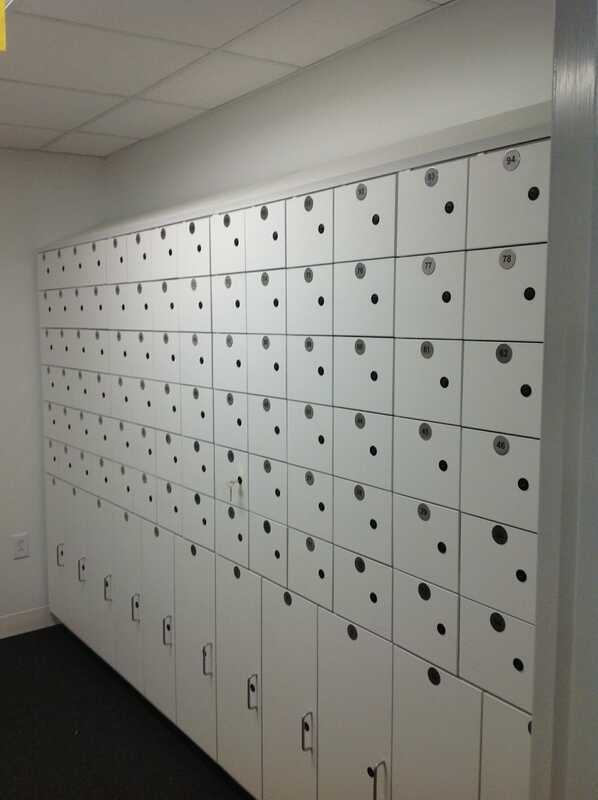 When someone thinks of lockers, the first two things that come to mind are locker systems in a School or higher education institute and your local Gym! 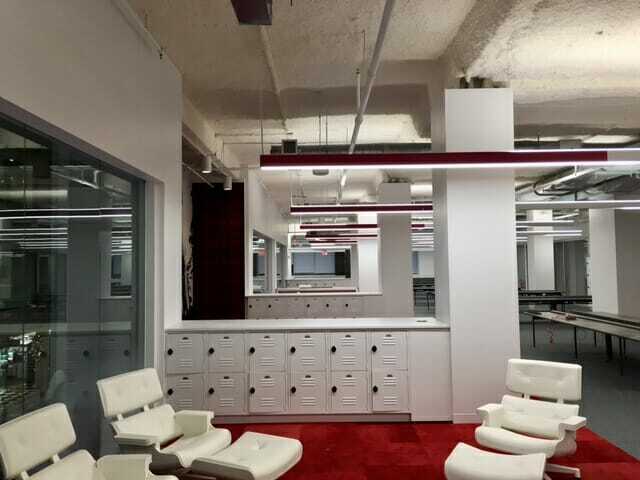 But lockers are used in so many different businesses and for so many different applications from personal storage lockers to evidence lockers that finding what fits your organization might not seem that easy. Until now! What purpose will your locker serve? An office storage locker or day locker for files or personal property is going to be much different in shape, size and function than, say, locker storage systems designed for holding towels, shoes and tennis racquets at the health club. Likewise, a public safety application is going to be different than a high school gym or personal locker configuration. That’s why the first questions must be what am I storing to determine locker dimensions and how many lockers do I need to provide in a designated space. This will help determine the best locker solution for your application. Does aesthetics matter in your locker decision? Do you need a locker with certain features? Does the design and color of the lockers need to match pre-existing conditions? Are there any security issues to be considered in regard to locker choice? The right locker system should never be determined on price alone but in today’s market, price almost always dictates choice. So Modern Office Systems strives to provide an exceptional array of locker choices to suit your filing and storage needs without sacrificing design and aesthetics! Grey industrial lockers are no longer the norm! In fact, our locker systems will meet all your storage requirements while looking good, setting the right tone for any office, healthcare, government, public safety or educational environment. The Single-Point Latch locker from Lincora is a strong, robust metal locker. There are no moving parts which helps to guarantee superior performance and long term durability. They come in single, double and multiple tiers ideal for educational environments. Configurations also include single or multiple columns and recessed or wall mounted. 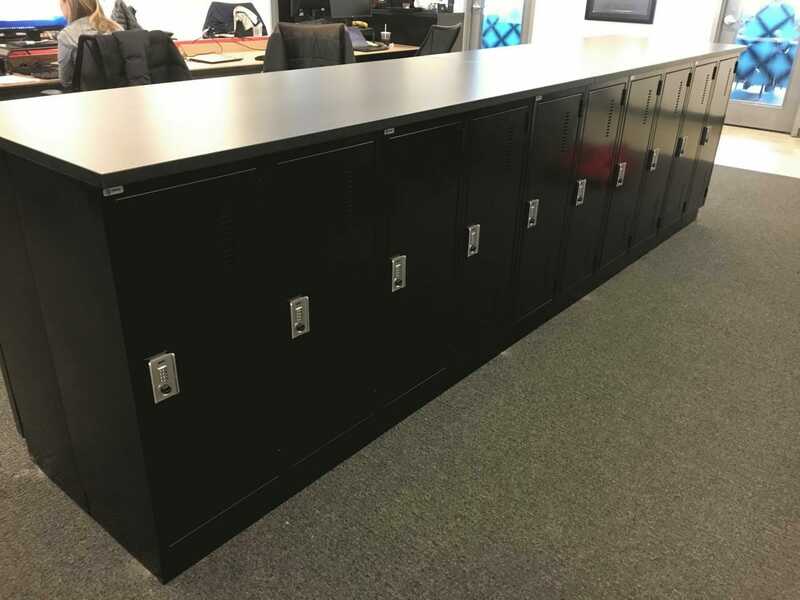 Spacesaver’s line of steel lockers include evidence lockers and multi-purpose designs from school athletic locker rooms to police and safety officer facilities. 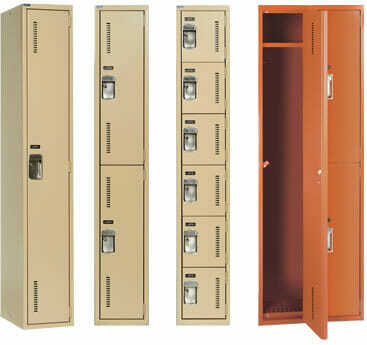 Freestyle Lockers are what the name suggests, a locker that can be completely customized to the needs of the user. 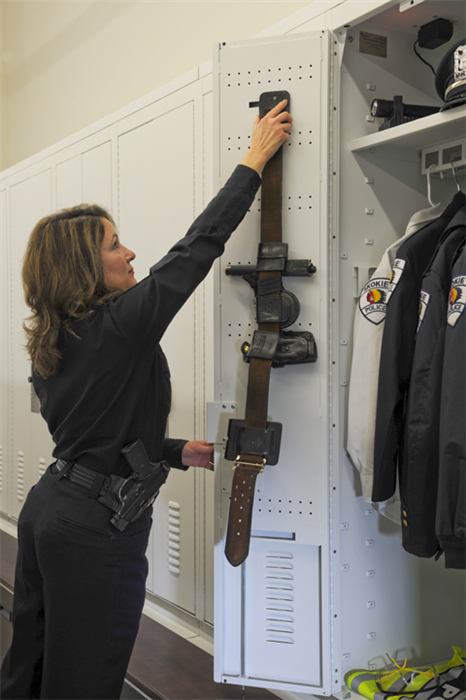 Particularly popular with police departments across the country, the freestyle locker gives the Police Officer and Safety Officer a “home base” for their personal possessions while on the job. Options even include must haves like belt hangers! Freestyle personal lockers allow for organized private space within the work environment. Additional features include electrical outlets for charging multiple devices. Evidence lockers are designed to provide a secure chain of custody for short-term evidence storage. Spacesaver’s evidence locker offers an easy way to preserve evidence short term, allowing for security until retrieved by the appropriate personnel. Each Evidence locker is available in a variety of sizes and features. The Evidence lock comes complete with a dual-latching mechanism that resides in the door and frame, leaving the inside of the locker free from any protrusions that could potentially damage evidence or be damaged by improper handling of evidence. Each compartment is fully enclosed, to ensure no evidence spills or cross-contamination occurs between locker compartments. In our line of business, it doesn’t really matter what locker is the fairest of them all. Your storage requirements will always be met with recommendations that work best for you. Patient Room with Floating Table, Bedside Lockers and Wardrobe built into one clean finish for best practices. Today’s eclectic market requires better designed and aesthetically pleasing locker over the original industrial locker that was one size fits all and it must satisfy many different applications. To that end, we can provide locker solutions for Doctor’s office, Nurses stations, Healthcare professional changing room, patient rooms , exam rooms or wherever the need may arise. And don’t forget the locks that go with locker storage. Modern Office Systems works hard to provide the best lock solutions for your locker environment. Although battery operated locks are very popular, we believe the newest trend in Hard wired , card key lockers are an even better solution. Name it, we can guarantee a solution that will make you happy. Call for a free consultation and lock it up with us!